The Motor City developed with cars in mind, but for a majority of its population—particularly those who are low-income—access to a car is financially impossible. Michigan’s notoriously high auto insurance rates are a main culprit, according to Poverty Solutions researchers Josh Rivera and Pat Cooney. In their March 20, 2019, op-ed for the Detroit Free Press titled “Michigan’s auto insurance rates keep people from getting out of poverty,” the authors describe the detrimental effect such insurmountable premiums have on low-income people, as well as provide potential policy interventions. Getting out of poverty requires some synchronicity of circumstance and beneficial policy, with a major factor being how you get around. “Whether to get a new job, go back to school, or make it to a doctor’s appointment, reliable and affordable transportation can make the difference in moving up the economic ladder,” the authors state. However, public transportation in Detroit is difficult to come by, limiting potential employment. Michigan’s auto insurance laws don’t make it any easier, with annual premiums nearly double the national average, and quadruple in Detroit. Owning a car with the proper insurance is therefore impossible for many, but risking jail-time or high fines for going without is a risk most low-income people can’t afford to take. Rivera and Cooney say that this gap in access to affordable auto insurance damages individuals (and therefore Michigan’s economy as a whole) in three main ways: people can’t access economic opportunities, if they do have a car it becomes a drain on already scarce resources, and driving without insurance puts drivers at financial and legal risk. To chip away at these issues, the authors include data-driven policy solutions. First, they advocate for consumers to “select the coverage that best fits their needs,” similar to the health insurance market. Second, they say “fee schedules for medical procedures covered by auto insurance” should be included, since they currently harm low-income people for the benefit of medical providers and trial lawyers. Finally, they call for Michigan to “limit the extent to which insurers can use non-driving factors, most notably credit scores,” when pricing insurance. Read the full piece here. And view the map that breaks down insurance affordability by county. Josh Rivera is a data and policy adviser at Poverty Solutions. Pat Cooney is the associate director of the Detroit Partnership on Economic Mobility for Poverty Solutions. 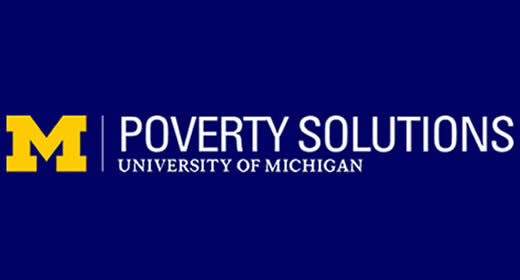 Poverty Solutions is hosted at the Ford School, partnering with policymakers and community to find new ways to prevent and alleviate poverty.